Known for Mt. Fuji and its numerous holiday homes, Izukogen is also where you’ll find the Izu Teddy Bear Museum. This European-style wonderland will really bring out the kid in you! Shizuoka prefecture is located between Tokyo and Nagoya, and is best-known for being the home of Mount Fuji. Izukogen, on the other hand, is a part of Shizuoka that has long been known as a historic holiday villa. Thanks to these points, Izukogen has become an area replete with tourist facilities and museums. 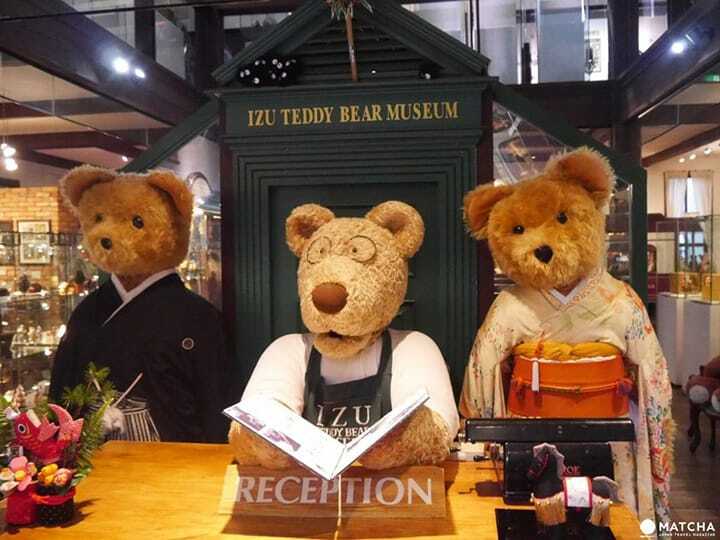 One particularly popular museum in this area is the Izu Teddy Bear Museum. 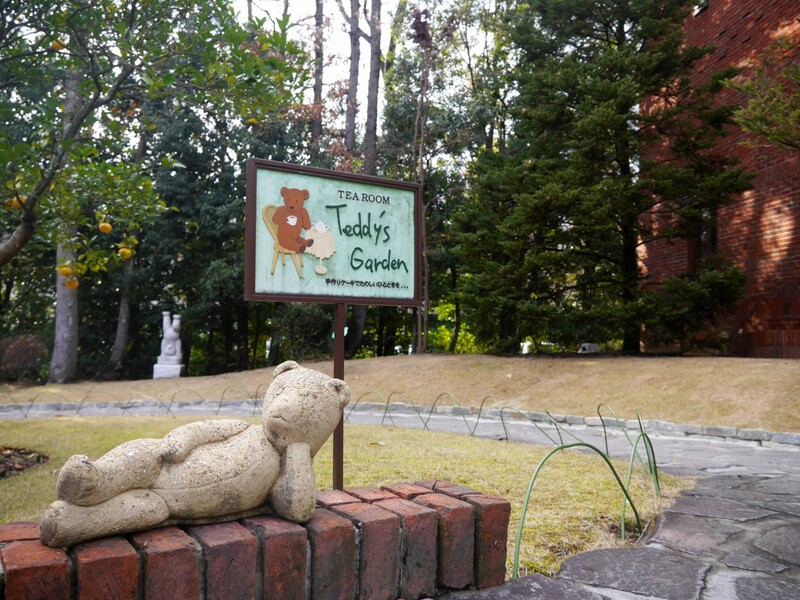 This museum, housed within a red brick building, has a distinctly European air to it, and once you pass through the gate and enter the garden surrounding this place, you’ll find yourself in a world filled with lovely teddy bears. This is a great place to visit for both kids and adults. Now let’s go meet the teddy bears! 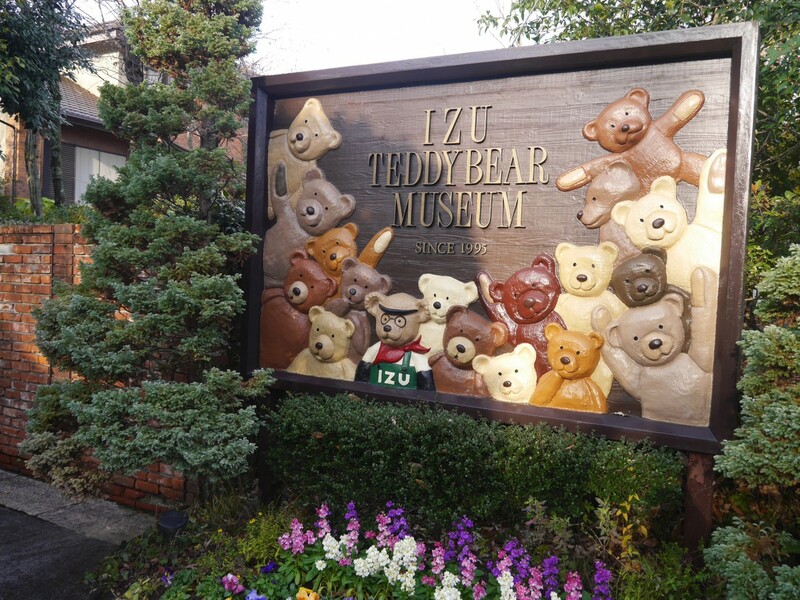 The Izu Teddy Bear Museum is a less than a ten-minute walk from Izukogen Station. Everything from the European style garden to the museum building itself has been constructed to suit the world of the teddy bear, right down to the last detail. And, as all of the materials for this museum were imported from England, visitors here will find themselves transported to their childhood dreams and visions of a teddy bear’s home. 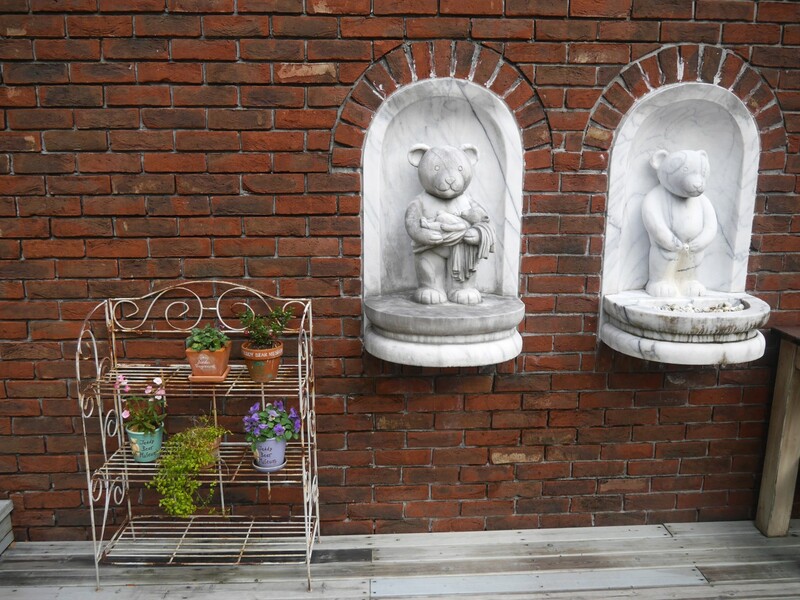 From the moment you step inside the gate, and through every nook and cranny, you will find cute teddy bears. There are plenty of them waiting in the garden, so you can take lots of photos with the teddies outside as well. There are teddy bears all through the garden, and even some waiting at the cafe on the terrace as well. If you have the time, it might be nice to take a break, enjoy a coffee and absorb some of the wonderful natural scenery of Izukogen that surrounds you. The main building of the teddy bear museum is the red brick one seen here, with its unusual pointed roof. 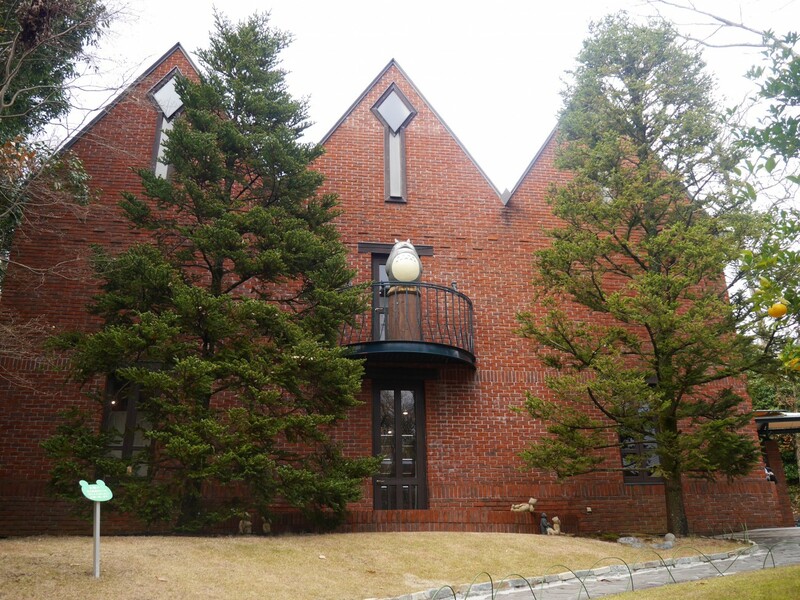 Although Izukogen is a place famous for its holiday homes, there is an entirely different air here thanks to this uniquely European structure with its rustic charm. Being so strikingly different from Japanese-style structures, and in such a spacious setting, you almost feel that this is a spot too precious for words when visiting. After you’ve wandered about in the wonderful garden and taken your fill of photos, it’s time to head inside the museum and meet the rest of the bears! Once you’ve walked through the grounds, head inside and purchase your ticket. At the entrance way you’ll find a family of huge teddy bears waiting to greet you! With music playing and a large sign reading “Welcome to the Teddy Bear Museum”, it feels almost as though you’re being welcomed into a theatrical performance. There are even bears wearing kimono! The exhibitions on the first floor of the Teddy Bear Museum are dedicated to the history of these stuffed toys, with many antique bears being displayed. One bear that we would particularly like to point out is called Teddy Girl. This unusual bear, which was made in 1904 and is exceptionally rare, is one of the greatest treasures of this museum. 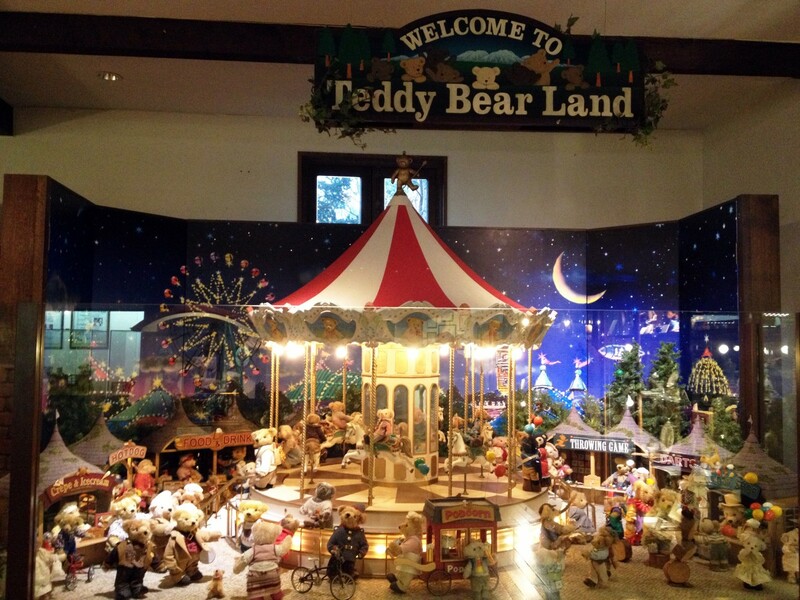 This is the Teddy Bear Land Amusement Park display. An elaborate diorama featuring moving rocking horses, a teddy bear factory and much, much more has well over 100 different teddy bears in it. Doesn’t it feel like you’ve stepped into the world of a British fairy tale? The second floor of the museum is home to their special exhibitions. 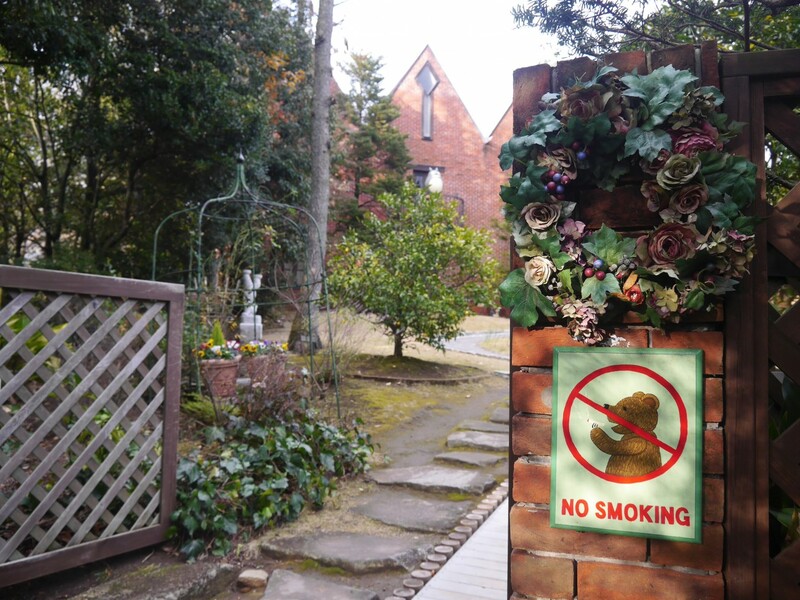 At the time we visited, there was a teddy bear and Tottoro exhibition being held. 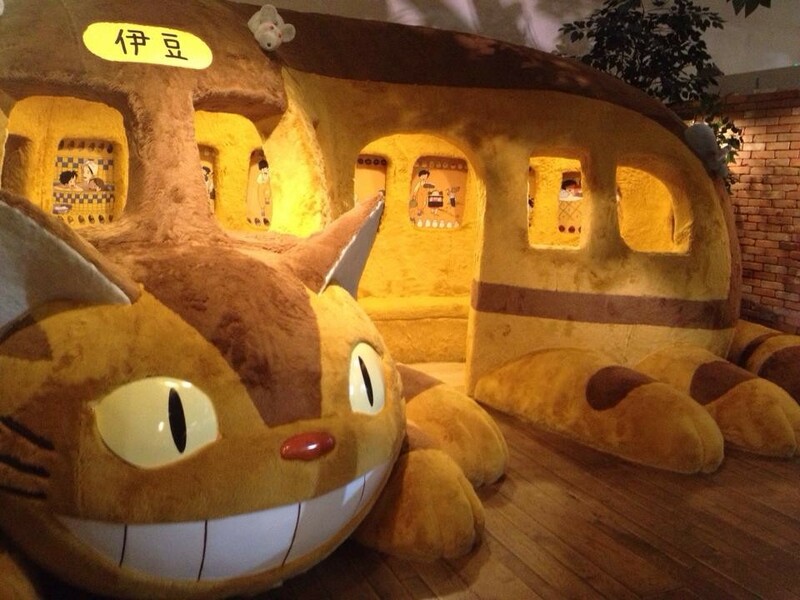 The huge Nekobus really draws your attention, and there were really soft, plush chairs that you could sit on and take pictures in. 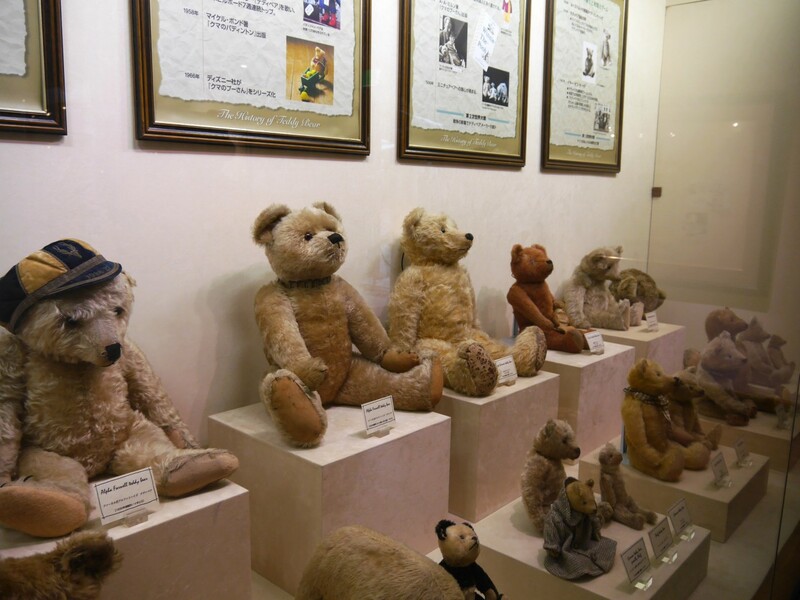 For Tottoro and teddy bear fans, the Izukogen Teddy Bear Museum is a must visit place! Make sure you check out their schedule and special events on their website before you visit, and have fun at this cute museum! Shizuoka - 10 Must Visit Spots In This Nature Rich Tokyo Neighbor!